Is a Perfect Fit Possible? This question should really be: Is a Perfect Fit Necessary? Many well meaning horse owners live in strife over achieving a perfect saddle fit for their horse. There are dozens of variables and moving targets one must achieve to perfection in order to get a perfect fit, and then that perfect fit may only last for a few hours. WHY? The three main categories of concern in saddle fit are constantly changing. The Saddle Tree is the only category that can remain constant. The Rider and The Horse are constantly changing. Loss of weight, changing muscle tone and simple movement when riding can all create fitting variables. The goal should be to get a positive fit. What is a positive fit? A positive fit is achieved when rider and horse comfort are at a satisfactory level when riding for a specified period of time. If you are a trail rider, the goal is to be comfortable on the trail without any significant discomfort to your horse. The first step in achieving this goal is to have a positive match on your tree bar angle. 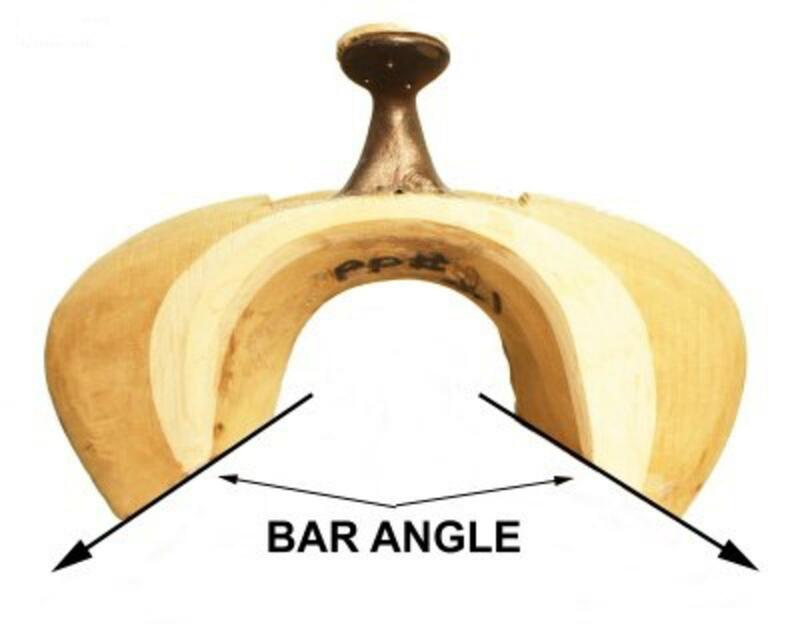 The angle of the tree bar must correspond to the angle of the horse's saddle pocket (below the withers and back of the shoulder blade). When this is achieved, the margin for error in fitting is drastically reduced. A positive fit is just a few steps away.